All the usual issues with this kind of behaviour aside... isn't it a little, ummm, chilly to be going shoeless & sockless right now?? Where are his shoes anyway?! Who raises these people??! that is just eew. Disgusting. 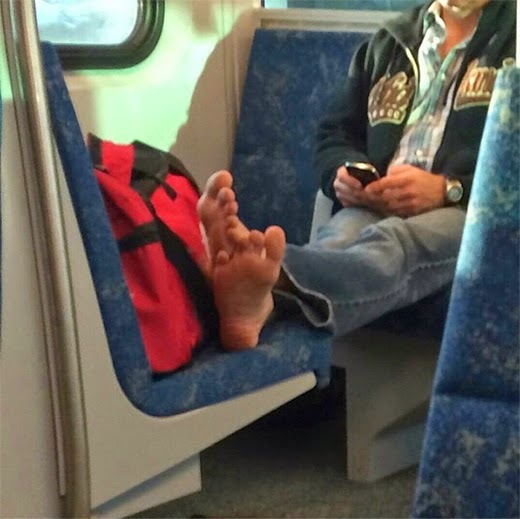 This isn't at home in your living room - this is public transit! What's he going to do next, cut his toe nails?